MiLB Playoff Action: Game 2 Shutout Puts Ems on the Brink of a Title! To teach and then report on the happenings of the minor leagues is a bit of a head scratcher at times, especially when the game is at Eugene. The time zones don’t quite mesh as I am two hours behind. I don’t think I am going to get a lot of sleep the next few days. Hopefully, it will all be worth it. When Eugene announced that Jack Patterson was in line to be the starter, it was a small surprise and it was not. Patterson made only 1 appearance for Eugene and it was over Labor Day weekend against Boise. He went five innings, allowed 6 hits, 2 runs, and struck out 6 while walking 2. In fact, that was the game where the Ems clinched a playoff berth. Because it was at Boise, I had yet to see Patterson pitch before game 2. Game 2 began with the same weirdness of game 1 as the Ems were visitors in their own ballpark. It didn’t last long. The Ems struck quickly in the top of the first. After Andy Weber grounded out, Nelson Velazquez singled, then stole second. After a Luke Reynolds walk, Game 1 hero Levi Jordan ripped a double down the left field line to score 2 runs. Jordan later came home on a Grant Fennell single up the middle and the Ems went up 3. Jack Patterson looked to have some decent action on his off speed stuff but he had trouble getting through the first unscathed. He did, but it took 22 pitches to do it. He struggled with his fastball command but he was able to get two fly outs with men on first and second before securing a third out that he fielded and gunned down at first. In the top of the third, Jonathan Sierra managed a two out single and stole second but was stranded there. When Patterson started pitching in the bottom of the inning, he looked very relaxed as he went 1-2-3 on just 9 pitches. His curve bit hard and down, his fastball looked smooth, but overall, Patterson looked in control of his pitches. That was good to see. Fernando Kelli looked to be having a rough night at the plate as he struck out to start the fourth. Caleb Knight then tore one down the left field line for a double. However, Knight got no assistance in getting home. Patterson came out and began the inning getting his sixth and seventh straight batters before giving up a pair of singles putting him at 65 pitches. A walk loaded the bases. Patterson went after the #9 hitter and got him on four pitches. That was a bit too close for comfort but Patterson looked to be done for the night despite not allowing a run in 4 innings as he sat at 73 pitches. 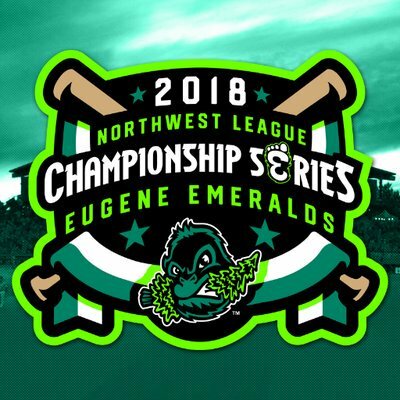 The Ems all struck out in the fifth and Eugenio Palma came in to pitch for Eugene. He did give up a walk and a single that inning but he stranded them when he struck out the last batter. The sixth inning didn’t offer much excitement either as both teams struggled to hit the ball. 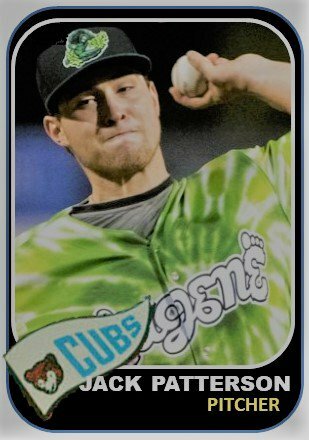 In the 7th, catcher Caleb Knight of Eugene doubled again, went to third on a passed ball and scored on an Andy Weber sac fly to make it 4-0. In the bottom of the inning, Palma concluded his night by getting the Indians in order. 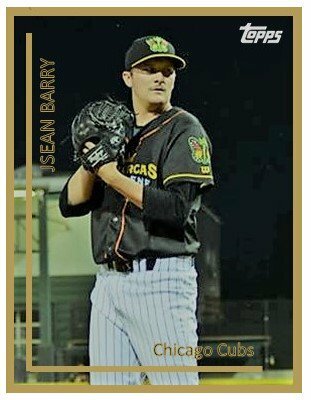 The rest of the game belonged to Ems’ All-Star reliever Sean Barry.who got to 2 pop ups, 2 ground outs, and 2 strikeouts to seal the game 2 victory and put the Ems on the brink of a Northwest League title with a 2 games to 0 lead! Overall, it was a great shutout win giving the Ems their longest winning streak of the year. Patterson was able to work out of every jam tonight. That was impressive! I really liked his curve a lot and hopefully that can be an out pitch for him. The key for tonight, though, was giving Patterson a 3-run cushion in the first inning as he showed poise by not allowing a run. Game three starts Tuesday night at 9 central. No starter has been announced for the Emeralds yet. It could be Eury Ramos, Peyton Remy, or Faustino Carrera. We shall see later. ‹ PreviousMiLB Playoff Action: Bad News Ems Win Game 1!!! 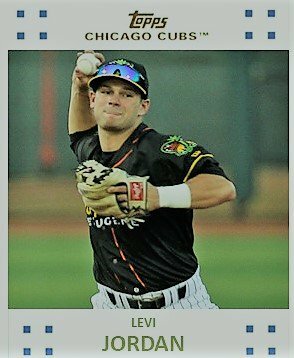 Next ›MiLB Playoff Action: Eugene Wins Their Second Championship as a Cubs’ Affiliate!! !